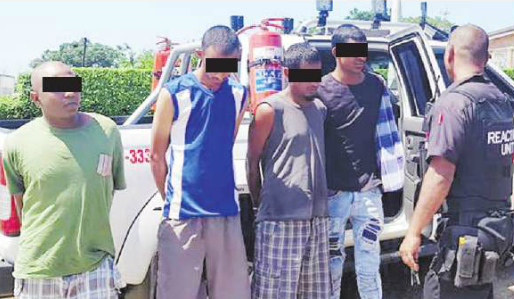 Four suspects were arrested by members of Reaction Unit South Africa (Rusa) after they robbed and stabbed a volunteer from Verulam Crime Watch, outside a garage in the town’s CBD on Saturday. The gang, aged between 17 and 24, appeared in the Verulam Magistrate’s Court on Monday. Rusa director, Prem Balram, said CCTV footage showed four occupants alighting from a vehicle. According to Balram, Reaction officers began tracking the suspects vehicle and established that the suspects resided in Redcliffe. “On Sunday, the vehicle was spotted on Buffelsdraai Road. 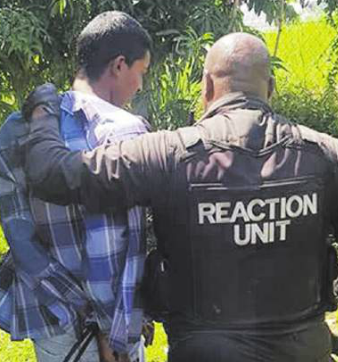 Reaction officers approached and arrested the driver and passenger The suspects led officers and members of the Verulam Crime Watch Sector 1 patrol unit to Redcliffe Drive where a 17-year-old suspect was arrested. “The fourth member of the gang was nabbed in Redcliffe as well. It was established that they also robbed a prostitute of her cellphone on Saturday. “The woman hung to the vehicle and was dragged for 50 metres,” said Balram.